I joined WVIK in the Spring of 1992, as a student employee, while attending Augustana College. I was quickly drawn into the fun and excitement of broadcasting –“bitten by a bug.” And after I completed my studies in psychology, computer science and accounting at 1995, was hired by Don Wooten to continue helping out around the office and work in our APRIS program. Soon, my duties outside of APRIS became the priority and I left the day-to-day operations of the reading service behind, to move to the job of a “Business Manager.” I’m still not sure what this title means, but judging by the paperwork on my desk of audited financial statements, membership and donor data, underwriting agreements and federal forms required to keep the station operations legal – I’d say it’s really other duties as assigned. Most of the time I get to answer the phone, and daily I take calls from listeners who were moved enough by our programming that they bothered to pick up the phone and call. I get to talk to happy and unhappy listeners, and every call I take makes all that paperwork on my desk worthwhile. I get to support the work of great broadcasting. My family lives in Moline. Our children and pets get the luxury of listening to Michelle, Dave, Mindy, & Herb each day. When we are working in the garden, walking the dog, quilting, editing the photos I enjoy taking of my beautiful girls, or just puttering around the house. We always have it on. I get to be a part of it all It’s a pretty good job – whatever the job title is. Augustana College Professor Emeritus, Roald Tweet offers new Rock Island Lines on WVIK, Quad Cities NPR, for the celebration of Dubuque Week, September 15-19, 2014. Each day of the East West River Fest, Roald Tweet treated us to new editions of Rock Island Lines, especially written for the 3rd Annual East West Riverfest. Better healthcare means bigger operating rooms at one of the largest hospitals in the Quad Cities. Today (WED), Genesis Medical Center showed a model of an operating room that's now under construction at the East campus in Davenport. Chief medical officer, Doctor Joseph Lohmuller (LO-mull-er), says medical technology has changed dramatically, but his staff is still using operating rooms designed in the 70s. "Literally, it's like we have to bring this in first, and that in, second, and that in, third, to get all that in the room. 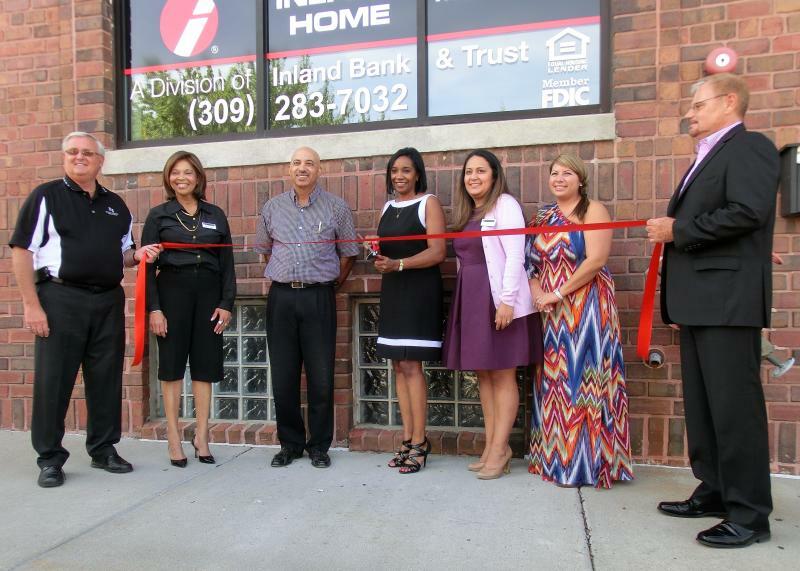 With help from the city, nine businesses have expanded or opened for the first time in downtown Rock Island. And to celebrate, yesterday Renaissance Rock Island held what it calls a "rolling ribbon cutting." One of the nine is Tapas Yoga Shala, a yoga school owned by Evan Harris and his wife. He says the business opened in the McKesson building 3 years ago. As the final weekend of the season begins, the Quad Cities River Bandits still have a chance to make the playoffs. They have five games left, two at home and three on the road. Spokesman Marco LaNave says the River Bandits are two games behind Wisconsin and tied with Peoria for the final spot in the Midwest League Western Division Playoffs. The magic number for the Wisconsin Timber Rattlers is "three." The River Bandits will host Clinton tonight (thurs), and then host the Lumber Kings again Friday night for the final home game of the season. Bruce Carter talks with sculptor Dean Kugler.